This season for Next sees the launch of The City Collection. Milan, London, New York and Paris the fashion capitals of the world, with each collection Next have captured the essences of each city. 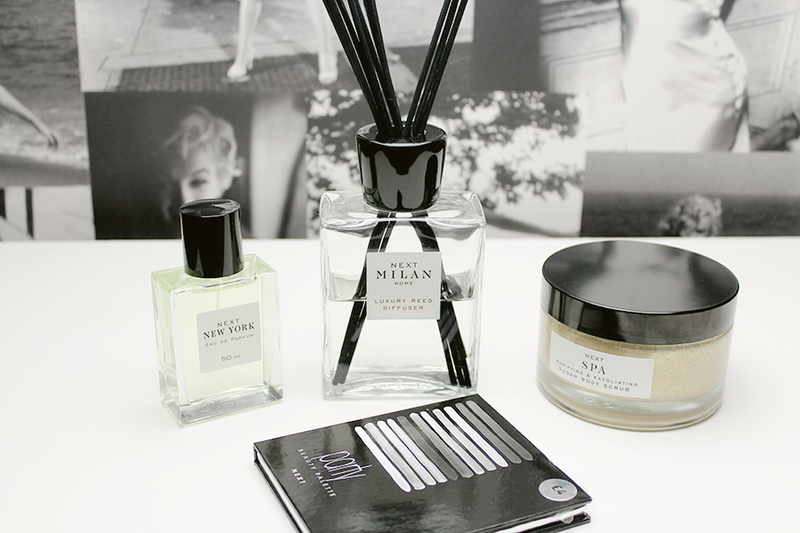 I've got one parfum from the New York collection and a luxury diffuser from the Milan collection. Along with a new beauty palette and their spa sugar scrub. Last month Next held an event at the Hempel hotel in London. I was on my way to the event but due to a few incidents, I came home before the event. The event manager was lovely enough to send me the goodies from the event which was ever so sweet of her. 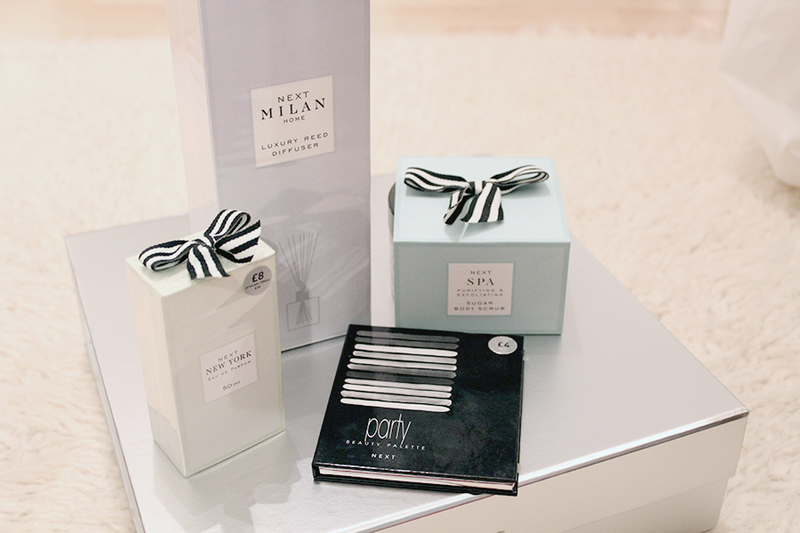 The items came in such a gorgeous box and the items are packaged with simplicity and chic with the bows. I will have reviews of these items in the next few weeks. Next have fabulous gifts for Christmas don't think the fragrances are all for women, gentleman they haven't forgotten about you in the fragrances department. Sometimes I find the girl teenagers in my life a little difficult to shop for but with Next I've found some great ideas, such as the Just Pink Perfume or Just Pink Collection! Even make-up of course is a great choice, not only do Next do their own palettes but they also sell make-up from brands such as Models Own, DuWop, MakeBelieve and Lipsy to name a few. My nan loves musky scents and I think should would love the Cashmere perfume or something from the Cashmere collection and not forgetting mum's and aunts alike who might want a bit of gold in their life with the Gold perfume and Gold collection. I don't think anyone could go wrong with these filler presents with Next this Christmas, affordable and cute. I love these items too, they are so lovely and super affordable, the packaging reminds me of Jo Malone and I am a fan of the bows too. I just cant get over the prices, they are awesome! I dont know the reed diffuser is only half full though?! It was a shame you missed the event, I had a lovely time. Doesn't the diffuser smell amazing? Seems like they hav fab collections. I love the look of the diffuser! I remember your tweet on that day. I hope everything was resolved! I wish we had this line in Canada!